My debut novel DOVE SEASON goes on sale today. It’s still hard to believe. As a writer, I often joke that I have more discipline than talent. I’m the guy who shows up every day. I get my work done and try to maintain a certain level of quality in everything that I produce. I can’t imagine not writing every day, and I try to show respect for the work and my potential readers. But to actually have the book in my hand, to see my first novel out in the world, it’s an absolutely incredible experience. I just want to say to everyone that has offered their support, to everyone that has chosen to spend some of their precious time reading my book, and to everyone in the future that picks up one of my books, I am truly grateful. Thank you from the bottom of my heart. Now back to the regularly scheduled shameless self-promotion already in progress. 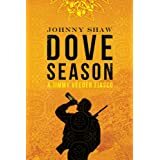 This entry was posted in Crime Fiction, Dove Season, Fiction, Imperial Valley, Publishing and tagged amazonencore, Dove Season. Bookmark the permalink. 12 Responses to DOVE SEASON Has Arrived! Congratulations, Johnny, and good luck – I hope you sell lots of copies. WTF…a roler coaster rider of emoitions, characters and a surprising ‘becoming -a-man” ending. Pershaps that best book I have read this Fall…and what a screenpaly…take it to Holloywood, it is the nex All the Pretty Horses! Think Bobbie and Buck Buck for a cross the boarder beer run with hand guys, HLS and aliens….go for it. Great first novel…may you have many more in mind! Great novel. I also grew up in the Valley, and even owned the Book Nook at one time. I’m a writer too. Small world. Great book Johnny. 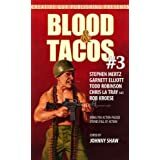 I grew up in the valley, so I was compelled to read it. Everything you said about the valley, weather it was good or bad, you nailed. I have lived in Illinois for 20+ yrs now but I still miss the valley. It’s home. Again great book. Looking forward to your next novel. Johnny, such a great book! The story, the characters, the dialogue, all amazing. I already got a couple of my friends to read it. Just wanted to say, keep up the great work. Excellent read, great characters and it brings the heat of the Imperial Valley. I drove through it once on the way to visit family in Indio. I really enjoyed the description and feel of the area. Lastly I shed a few tears at the end of part one. Some of the most powerful writing I have experienced. I had to stop and decided to wait a few days to read part 2. Once again this will be a book I won’t want to finish, and will leave me wanting more. Excellent book. Hi Johnny, just wanted to let you know that I have just finished Dove Season and thoroughly enjoyed it. I read a lot lot lot of novels and I am always really happy to find something with a bit of texture! Great plotting and characterisation also help and Dove Season had tons of these. Thanks very much for the experience of the area and how things are there. good luck in the future, hope you are busy working on the next one! I picked up Dove Season because I was born in El Centro and often visited family there. I just finished it and am writing because it was a great read. Solid dialogue (my favorite part of a novel), really engaging plot and you captured whatever it is about the Valley that makes us want to return to its strange comfort, ignoring its sere desolation. ‘Just finished Dove Season. ‘Hard to put down. ‘Had seen a movie made from one of Johnny’s scripts at UCSB and was interested in reading him as a novelist. 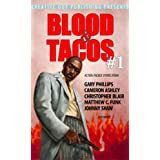 The solid dialog and vivid descriptions, incorporating references to situations or phrases familiar to most Americans, keep up a pace which is hard to break. The language might be a little offensive for some, but is used so naturally that one soon accepts and ignores it because the points are so clearly made and the characters, defined. The sensitive relationships are crafted very well, painting clear pictures of the various characters. The difficult moral issues and their lingering effects on Jimmy Veeder’s conscience were very adroitly handled with his resolve to commit to a more stable lifestyle, implying that guilt can be eventually overcome by the inherent goodness of a person. I think that playwrights or screenwriters write the best books because they can better put themselves in the shoes of the reader and know what keeps him engaged (a la Robert Ludlum). I can already picture the makings of another Jimmy Veeder novel. ‘Just finished Dove Season. ‘Hard to put down. 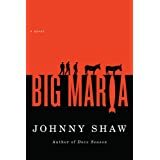 After watching a movie made from one of Johnny’s scripts at UCSB, I wondered how he was as a novelist. 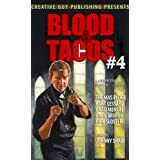 The solid dialog and vivid descriptions, incorporating references to situations or phrases familiar to most Americans, keep up a pace which is hard to break. The language might be offensive for some, but is used so naturally that one soon accepts and ignores it because the points are so clearly made, and the characters, defined. The sensitive relationships are crafted very well, painting clear pictures of the various characters. The difficult moral issues and their lingering effects on Jimmy Veeder’s conscience were adroitly handled, with his resolve to commit to a more stable lifestyle, implying that guilt can be eventually overcome by the inherent goodness of a person. I think that playwrights or screenwriters write the best books because they can better put themselves in the shoes of the reader and know what keeps him engaged (a la Robert Ludlum). I can already see the makings of another Jimmy Veeder novel. go luck on the launch johnny!